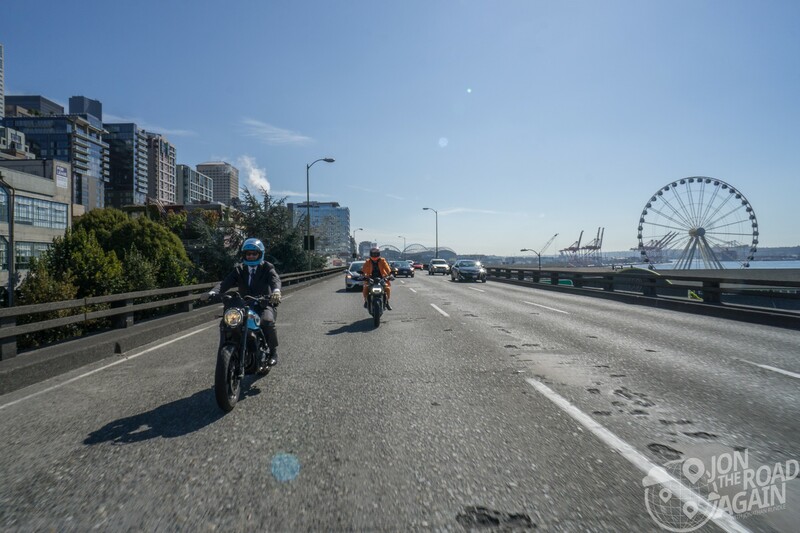 It’s time once again for The Seattle Distinguished Gentleman’s Ride. Whitney and I have taken part in this ride every year and 2017 is no different. Once again our friends and family have chipped in and donated to benefit men’s health charities. From DGR HQ: Our focus is on gentlemen who have been dealt a tough hand in life. 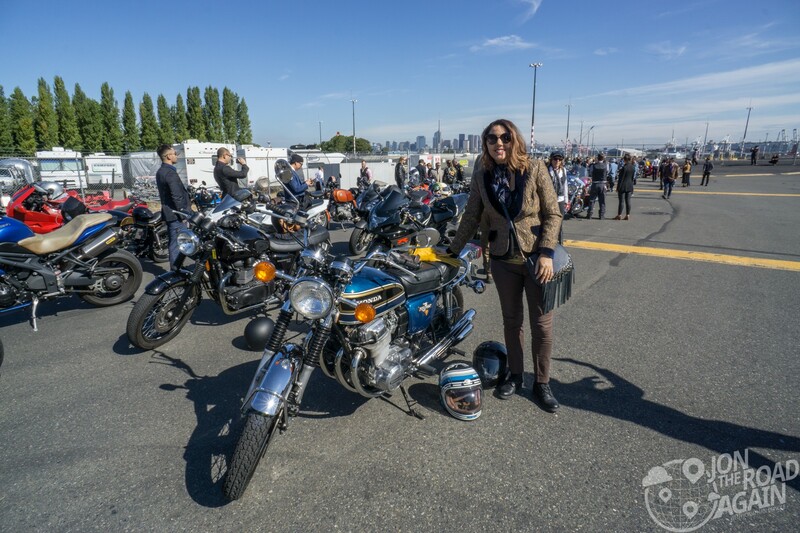 In particular, we raise funds for research into prostate cancer and mental health programs as part of our mission to support men’s health globally. 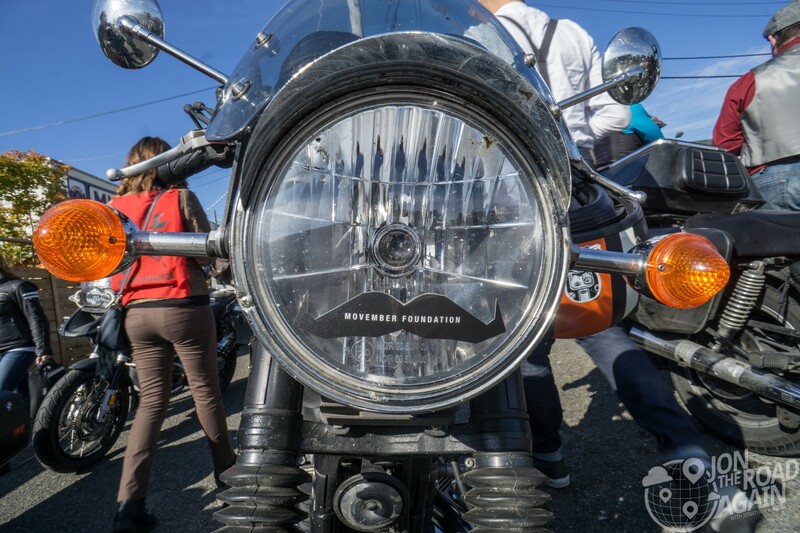 These funds are invested by our partners the Movember Foundation, the world’s largest men’s health organization. 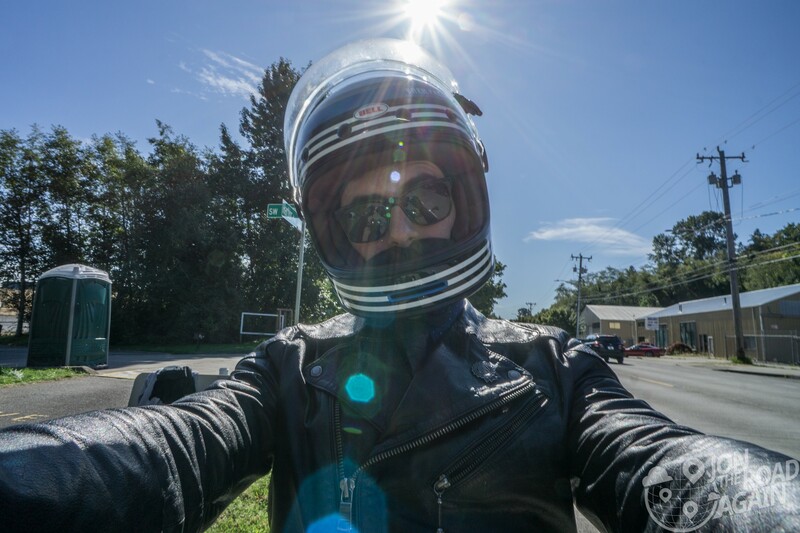 For past rides, see the 2013, 2014, and 2016 posts (my camera battery died in 2015!). 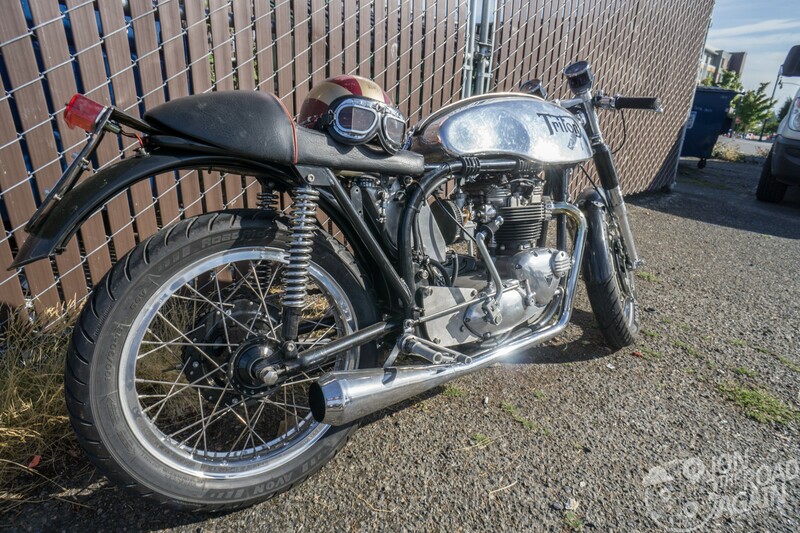 The DGR is all about vintage wear and vintage rides. 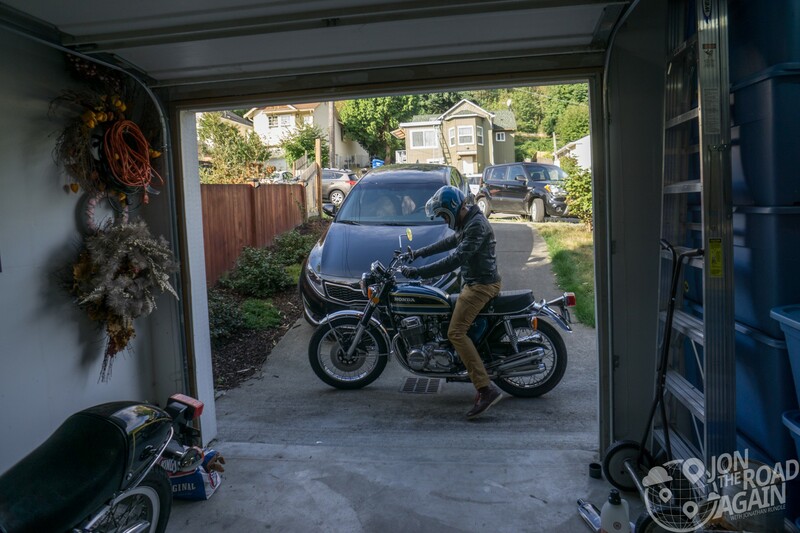 As usual, I’ll be riding my 1975 Honda CB750. 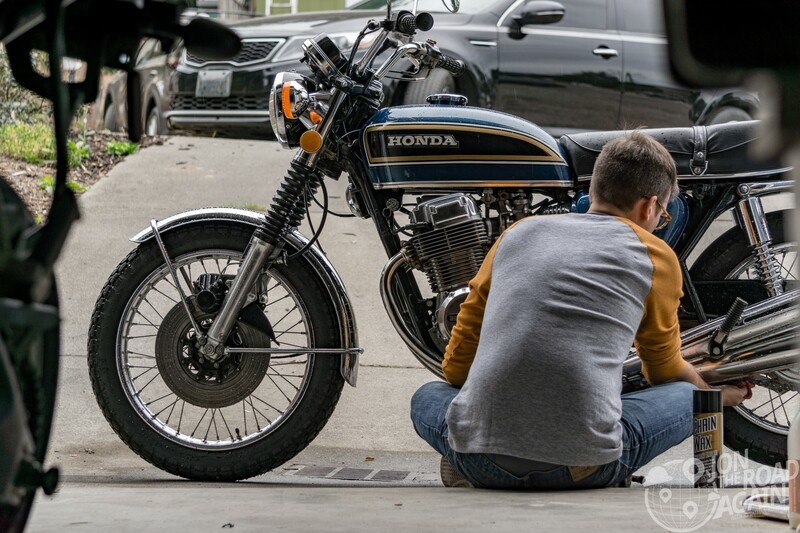 Prior to the ride, she gets a wash, wax, polish, and chain adjustment. 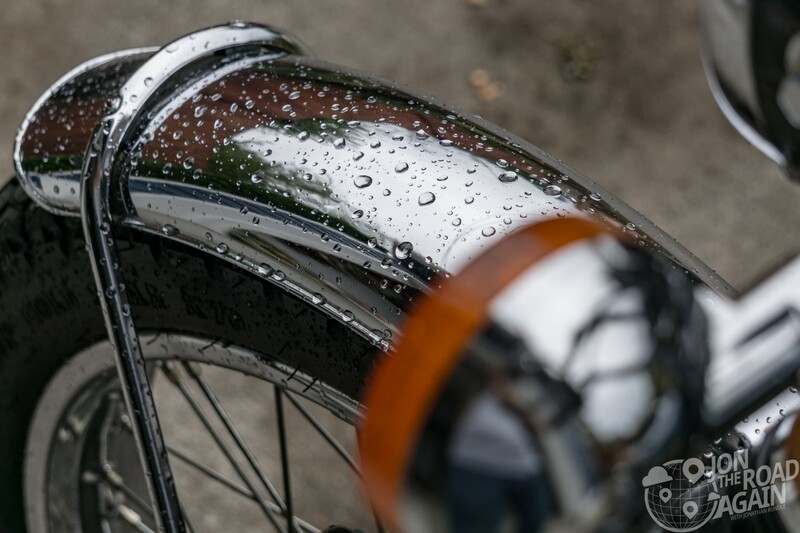 Now that our ride has been properly serviced, it’s time to dress up and push out. Part of the fun is dressing up for the ride. 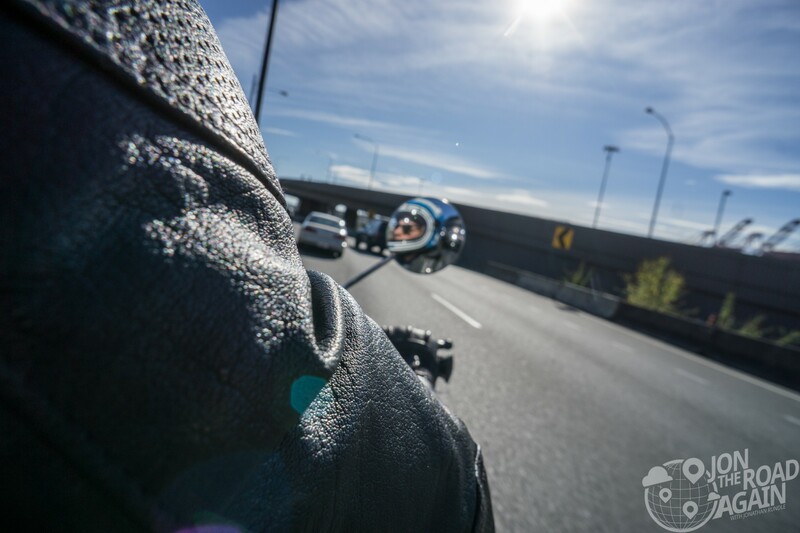 After all, the point is to #ridedapper. I usually have a little extra fun with a stick-on mustache (A nod to the Movember logo, which is a mustache). I decided to go big (and ridiculous) this year. 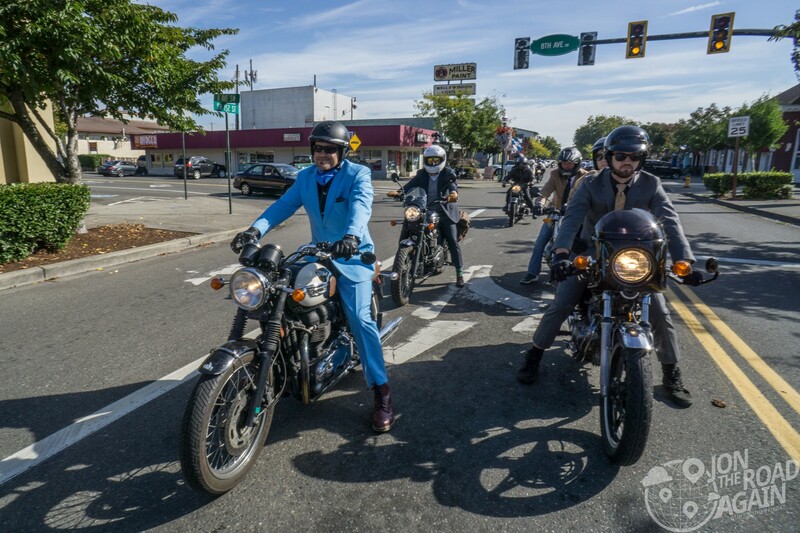 This year’s Seattle Distinguished Gentleman’s Ride is the largest yet. 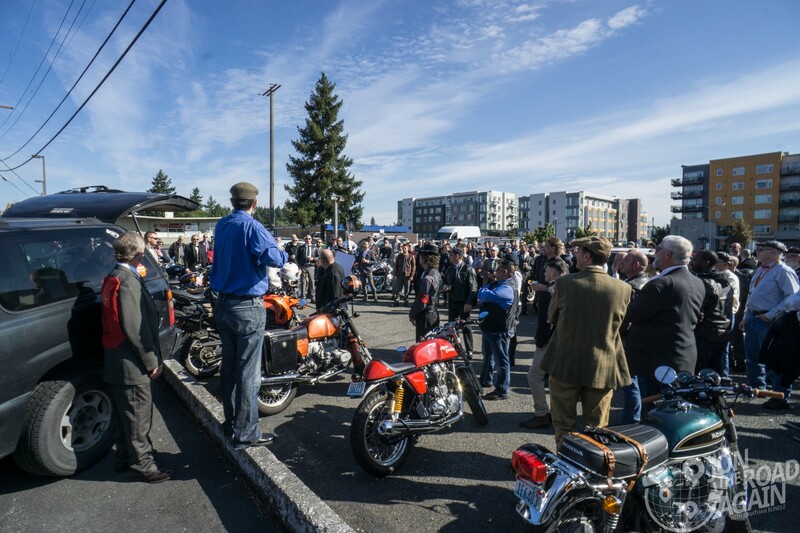 Over 350 riders registered, raising over $25,000! The ride organizer Erik addresses the crowd at our starting point Smarty Pants Garage. 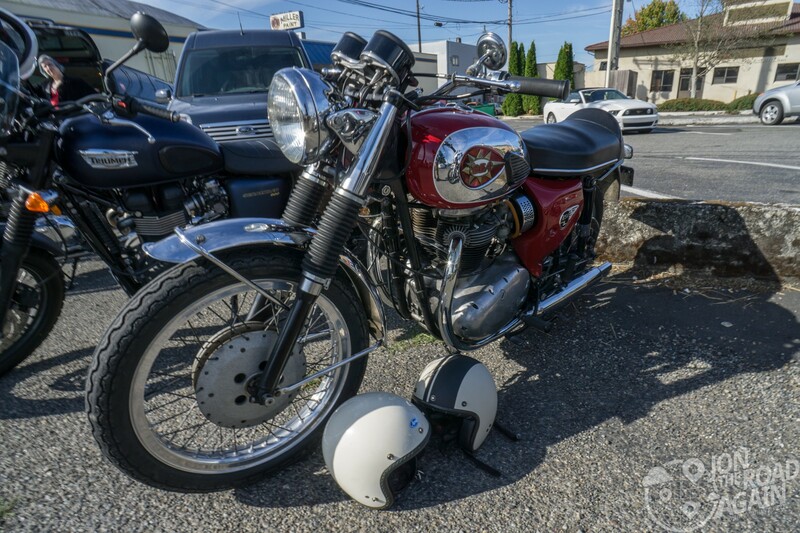 The parking lot of Smarty Pants is a bevy of beautiful bikes. 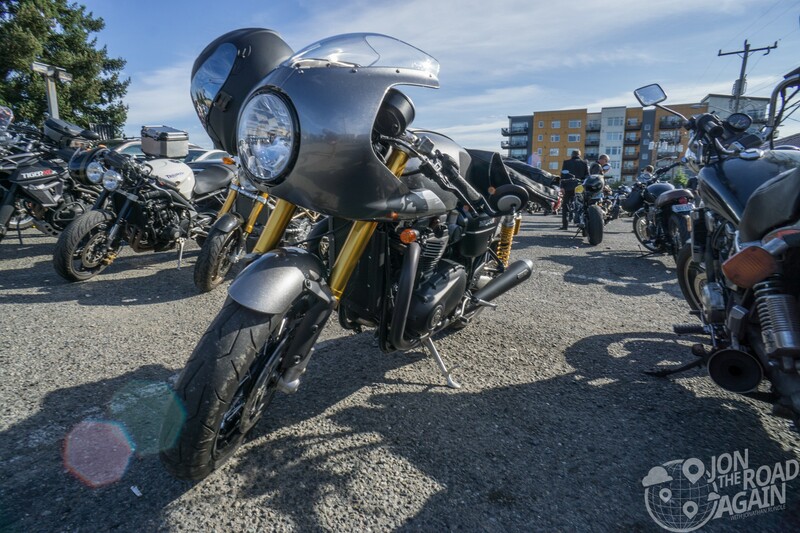 The time before the start is best spent sipping on coffee, looking at the bikes, and meeting their owners. 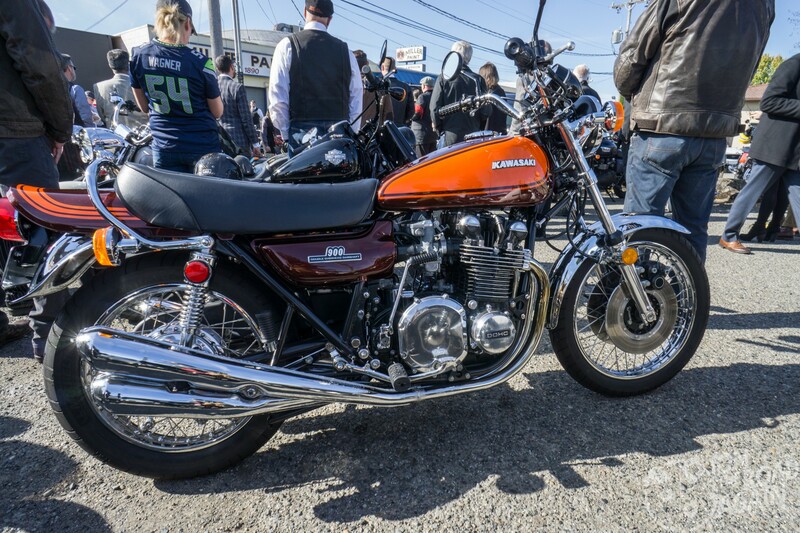 This Kawasaki Z1 is a stunner. 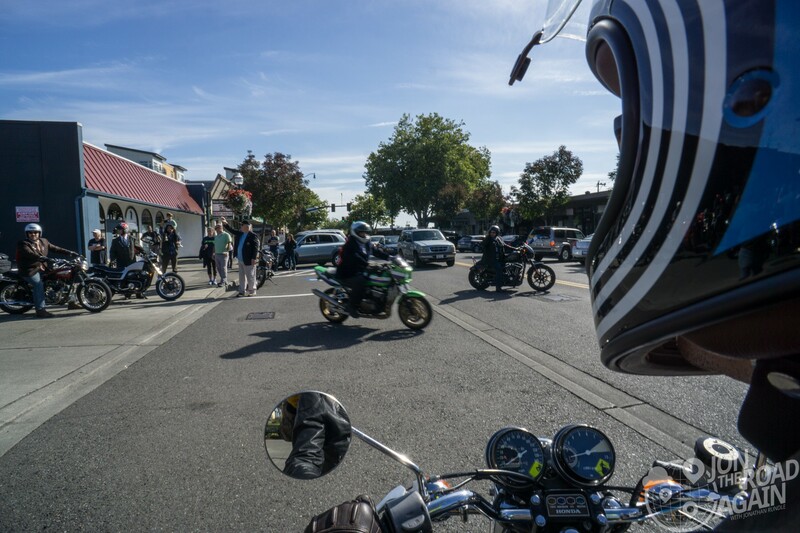 Okay, kickstands up at 11am! Let’s hit the road! 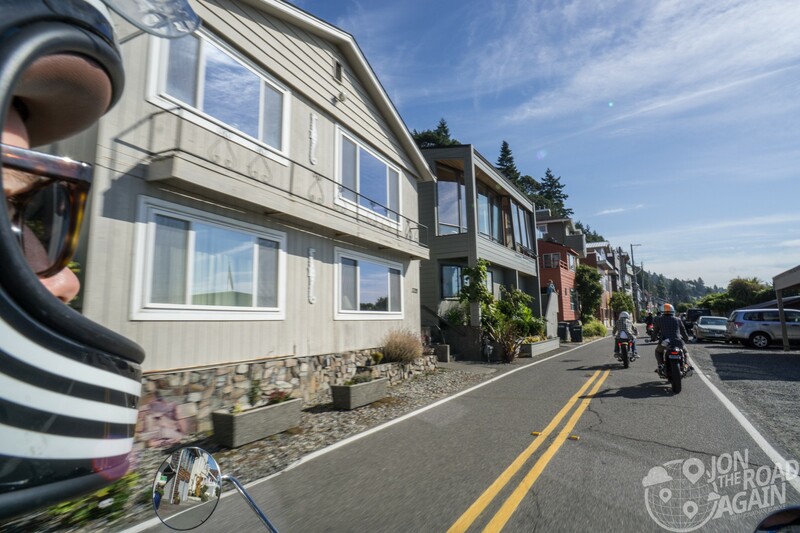 From Smarty Pants we made our way through Three Tree Point, along Marine View Drive, onward to Beach Drive, through Alki, and rallied at Jack Block Park. Our re-group got everyone together a little past half-way. 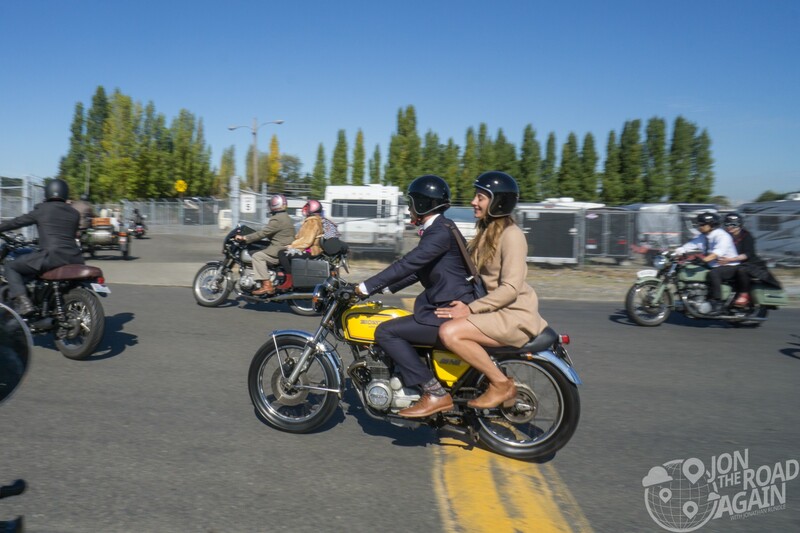 Here we could take another look at the bikes (and each others’ dapper duds) but also hand out our votes for favorite motorcycles and outfits. 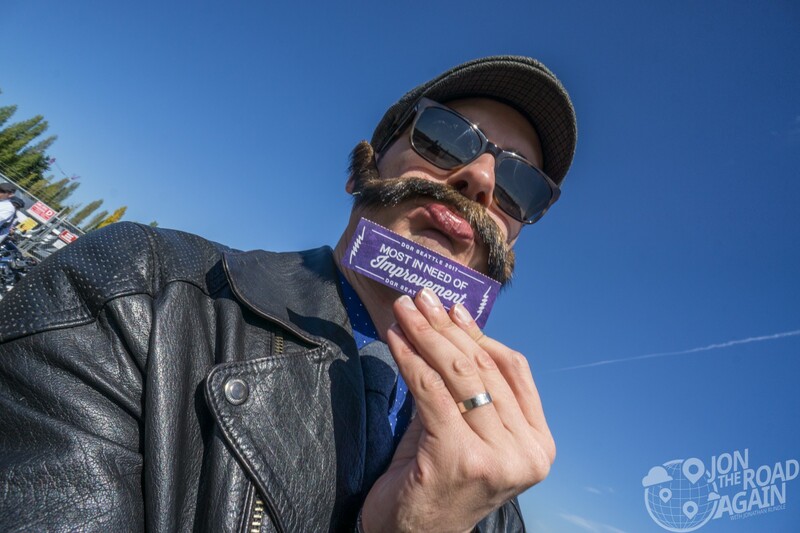 I managed to earn a vote for “Most in Need of Improvement” for my goofy stick-on mustache, which, half way through the ride, wasn’t staying on so well! No time to waste, off to the after-ride party! 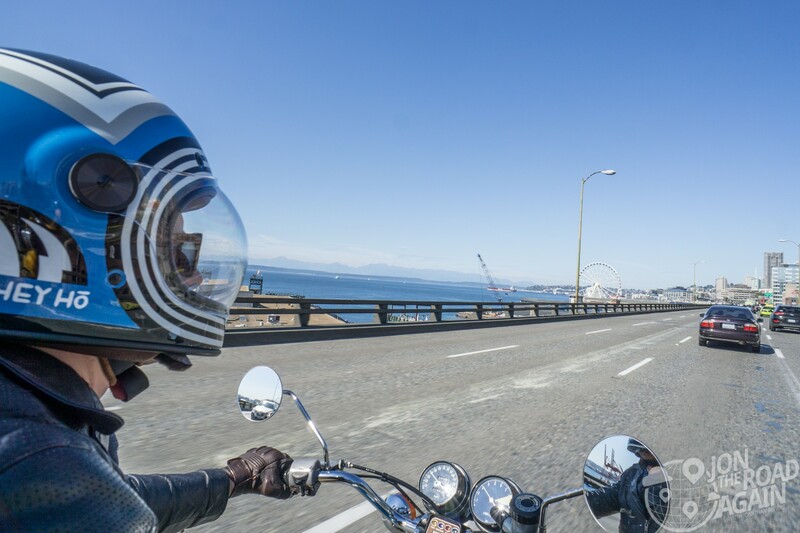 A scenic ride on the Highway 99 viaduct is always fun (as long as it’s not during rush hour). 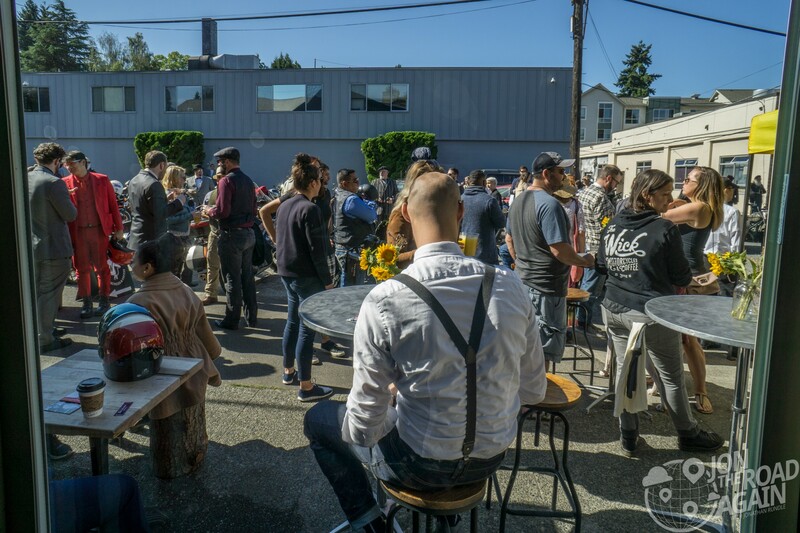 The after-party was hosted at The Wick Motorcycle Cafe. Home to brews of two kinds – coffee and beer. 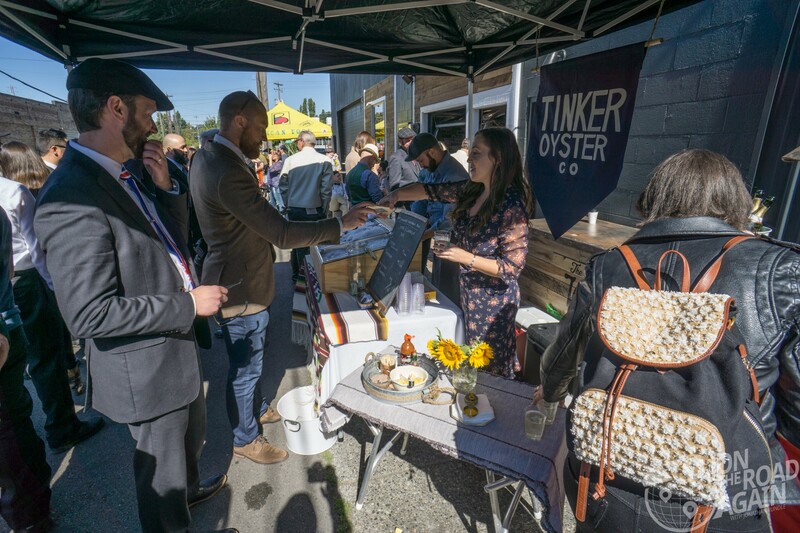 Lots of vendors were there to feed us. They did a fantastic job closing down the street, getting everyone parked, and of course keeping everyone “hydrated” and fed. 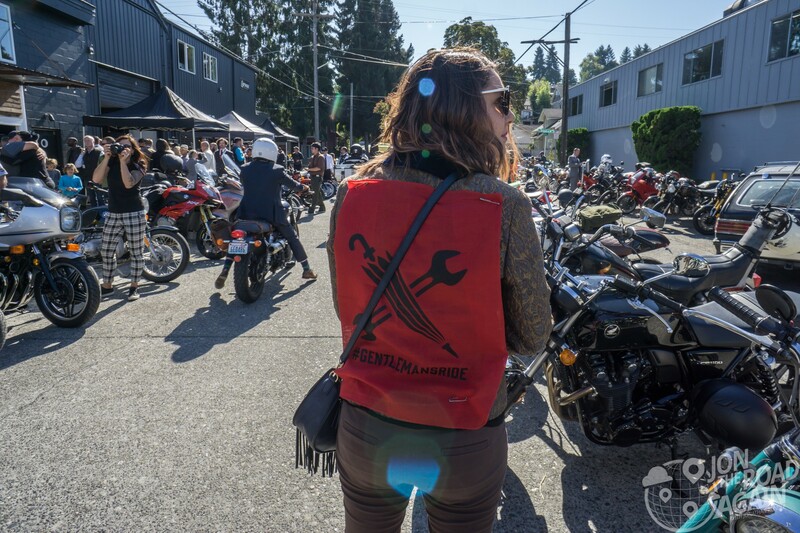 Whitney and I were ride leaders, so we earned this bright red back patch so that participants would know to fall in line behind us to get where they needed to go. With a group this big, some separation will happen at stop lights. 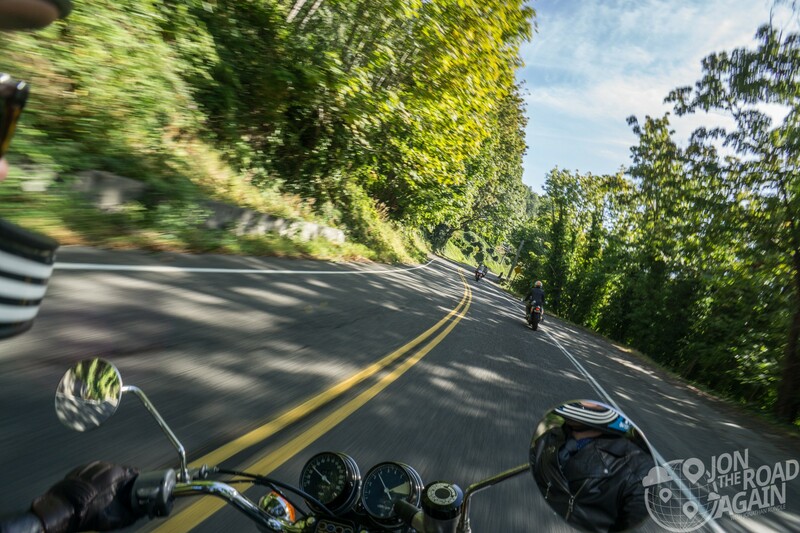 Ride leaders help keep everyone together. Inside, a moto child riding with his mom talks to Mr. Trash Cat himself. 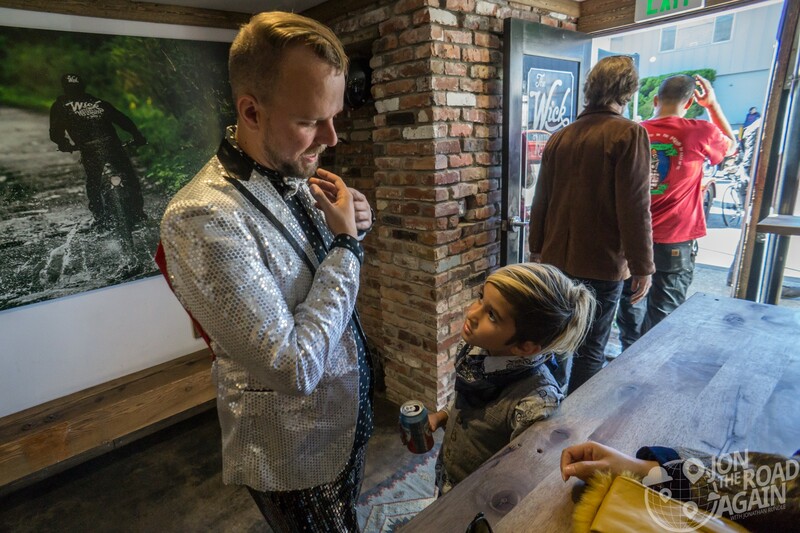 They are no doubt considering the route plan for next year, or perhaps the young one is just interested in those shimmering sequins. 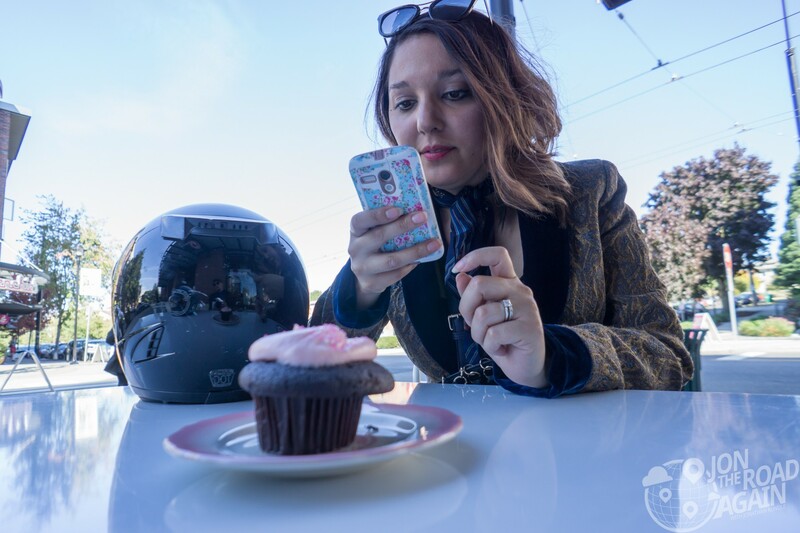 Whitney and I made one final stop at Cupcake Royale before heading home. 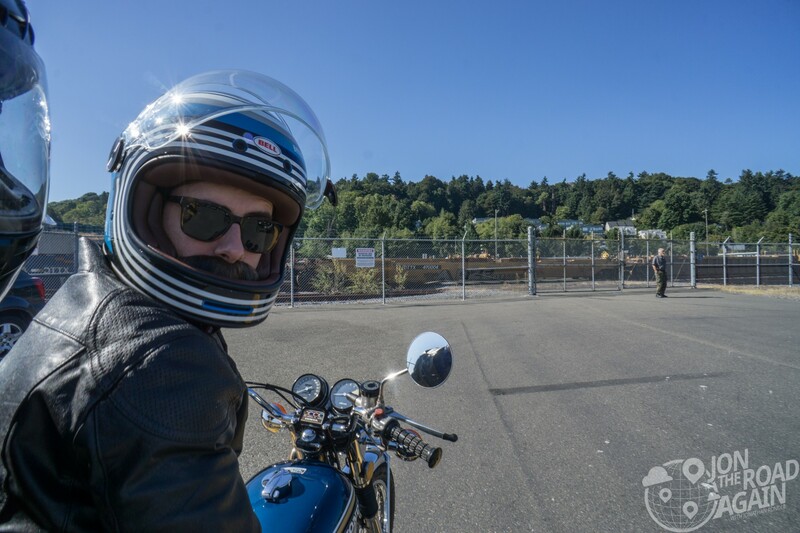 Another successful Seattle Distinguished Gentleman’s Ride is in the rearview. 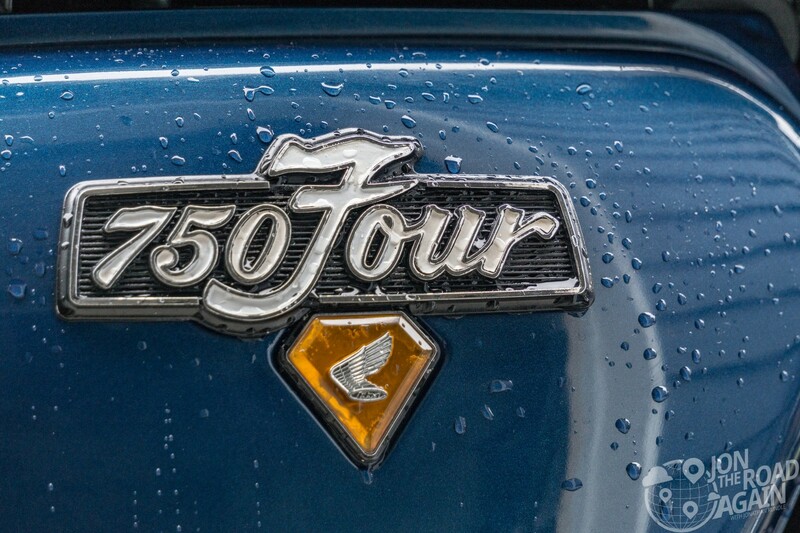 We’re looking forward to next year’s big event. 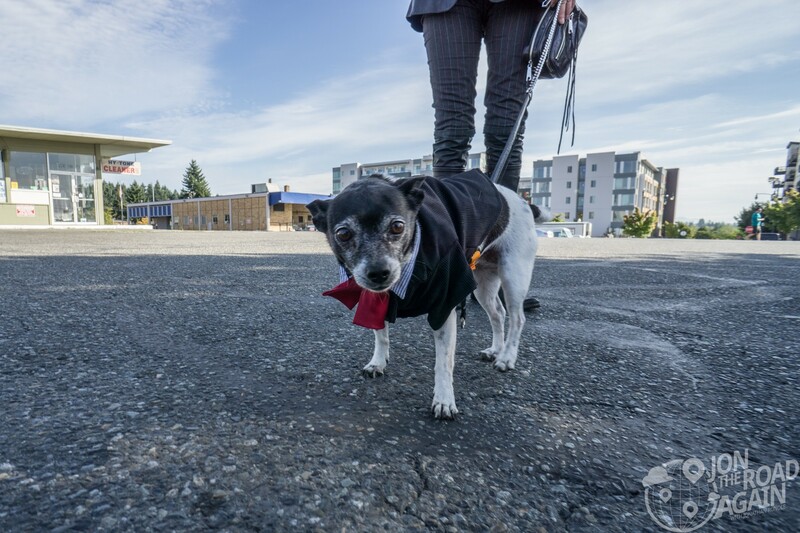 When the time comes, we’d love your donation! Click here to donate. 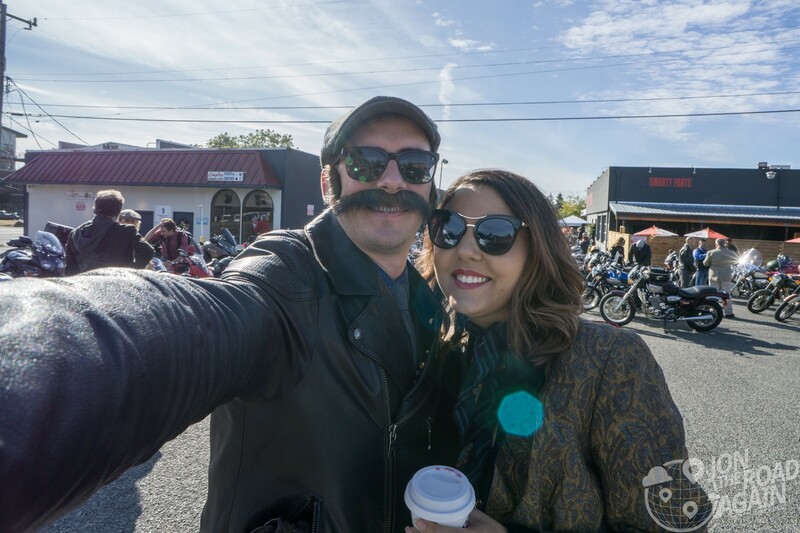 You both looked great and great weather for the ride..Your group raised a lot of money !!! Good job !! !